Com2uS' new mobile RPG Skylanders™ Ring of Heroes enjoyed a successful launch in the UK, Germany, France and other key western markets such as the US. The highly anticipated mobile game has climbed to the top of both the Google Play and iOS App Stores within a week of launch and is available for download now through Google Play and the iOS App Store. 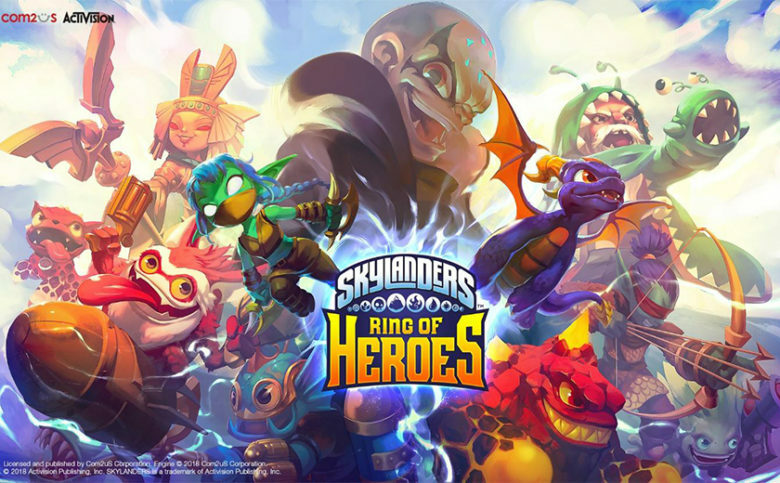 Skylanders™ Ring of Heroes was released in 120 different countries including the UK, Germany, France and the US, stealing the number one RPG spot for Google Play and the App Store within three days. In addition to Germany and France, the game managed to secure the top RPG spot on the charts in the UK and US, which are major key markets. Vice president of GAMEVIL COM2US USA, Casey Lee noted, "Skylanders™ Ring of Heroes has received a positive reception from players all over the world thanks to its variety of modes, entertaining story and robust battle system. We are continuing to do our best to provide the best gameplay experience for our players." The early success of Skylanders™ Ring of Heroes can be attributed to the popularity of the Skylanders™ franchise and its localisation, as well as the game's finely-tuned mechanics and global support. To download the Skylanders Ring of Heroes assets, click here. Skylanders™ Ring of Heroes is a mobile role-playing game (RPG) developed by Com2uS based off of the Skylanders™ franchise from Activision. The game features an epic tale with over 80 different characters. Players will be able to use these characters of different elements and their skill combinations to engage in exciting strategic battles.